A warm and aromatic vegan instant noodle dish with vermicelli noodles, peppers, ginger and turmeric. 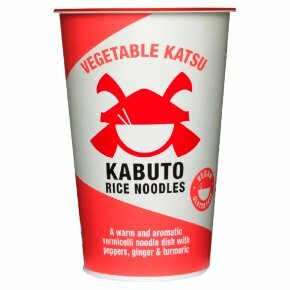 Inspired by the Katsu recipes from Japan this is our take on the classic dish. It's completely vegan and bursting with flavour. 258 Calories. Gluten free. Suitable for vegetarians. Suitable for vegans.